Jane Stelkia, Three Horses, date unknown, gouache on paper. Collection of the Royal BC Museum, #15855. Our Lives Through Our Eyes: Nk’Mip Children’s Art brings together over 75 works of art created by children and youth who attended the Inkameep Day School during the era of World War II. Under the tutelage of Mr. Anthony Walsh the school, which was located on the Osoyoos Indian Band reserve, became nationally and internationally renowned for its students’ production of art and drama based on their Okanagan identity and history. The exhibition features graphite drawings as well as paintings on paper and hide. Today the Inkameep Day School artworks are valued points of departure for contemporary Nk’Mip arts, culture, and education. ​This exhibition is presented in two parts, at both the Kelowna Art Gallery and the Okanagan Heritage Museum. Organized collaboratively by the Kelowna Art Gallery and the Kelowna Museums Society, with assistance from the Osoyoos Museum Society and the Osoyoos Indian Band. Guest Curated by Dr. Andrea Walsh, Professor of Anthropology, at the University of Victoria. Generously supported by Fortis BC, Central Okanagan Public Schools, and the Province of British Columbia. Works on loan from the Osoyoos Museum Society, Royal British Columbia Museum, artist Taylor Baptiste, and Colleen and Richard Baptiste. Submission Requirements: Contact Details – email, phone number, and address. Image List – Dimensions, medium, year for the 5 images you submit. Bio (Third Person, 500 words max) – a short paragraph describing yourself, your education, etc. Artist Statement (First Person, 250-300 words max) – describing your artistic approach, medium, technique, history, themes, etc. – acceptable formats: Word Document, PDF, or the body of an email. FAQ Can I sell my artwork?Absolutely! We encourage all artists to include prices with their work. ARTSCO will broker the sales for a 25% commission fee to cover our admin costs. What kind of work can be exhibited?Artscape shows 2-dimensional work that is ready to hang – photos, paintings, drawings, etc. Most of our venues have a chain hanging system, which requires that all work be prepared with hanging wire. D rings and hanging wire is the only set-up we will accept. You can find both at Opus or at your nearest hardware store. We will not accept work that has makeshift hardware on the back of the artwork. What if I’m out of town during installation?You will need to be present and able to help install your work. We don’t want you to miss this excellent opportunity to learn how to hang and exhibit your work. We will give you a few hanging dates to choose from in advance, so you can plan appropriately. 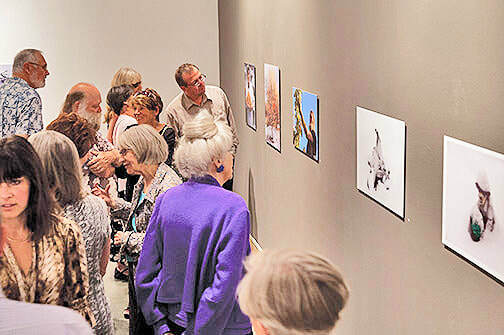 Who is jurying the work and how will the work be juried?Artist submissions will be juried by ARTSCO’s curator and 2-3 independent jurors from the Central Okanagan Region. Exhibition dates will occur from March 1st to May 31st, 2019. 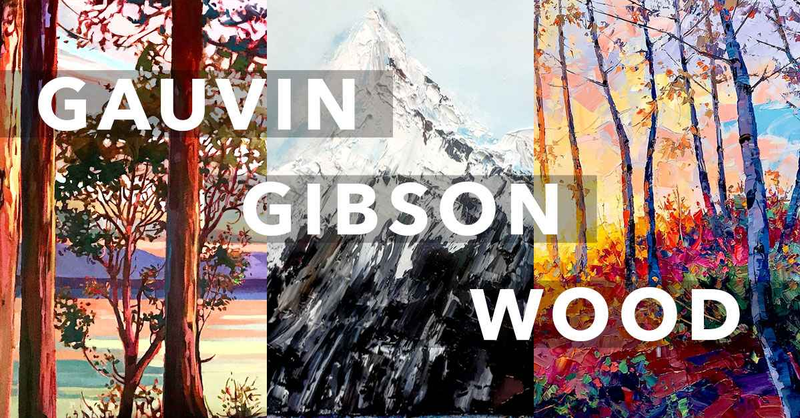 ​Join us March 7th in opening our spring exhibition as we display all new work from Stéphanie Gauvin, Tresa Gibson, and Robert E. Wood at the Hambleton Galleries! Doors open at 5pm, entrance is free with complementary appetizers and wine tastings provided. Please click the banner to go the latest events page. ​The Faculty of Creative and Critical Studies at UBC Okanagan, in association with the Visual Arts Course Union, is excited to present its 17th annual Art on the Line Fundraiser and Gala on Saturday February 9th, 2019. This popular event brings together the local arts community to celebrate the work of our students, faculty, alumni, and artists practicing in the community. Proceeds from the event support visual arts student exhibitions like the 4th year show, our visiting artist program, opportunities for travel grants and exhibitions, as well as a local charity. The evening is an entertaining Art Gala, where approximately 100 works of art are collected from local artists, faculty and students, which are then raffled off to guests who have purchased tickets to the event. 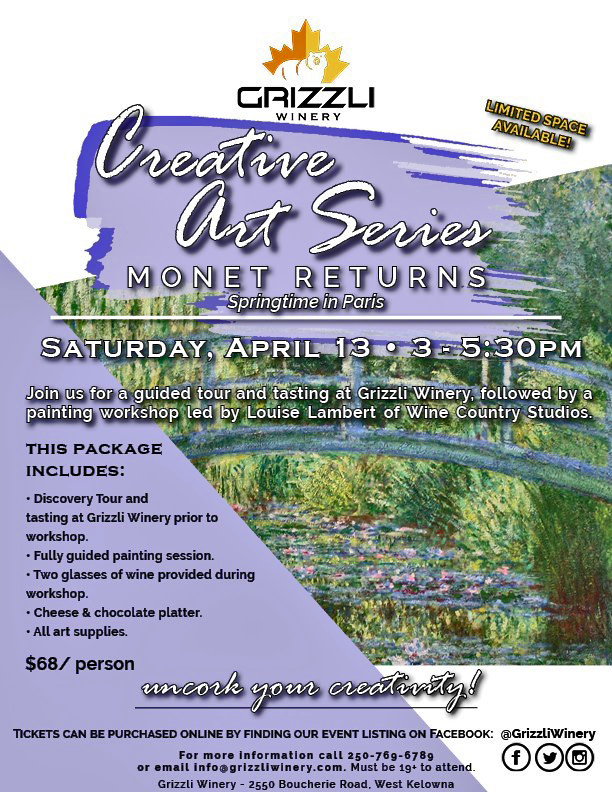 Art Admissions: This ticket, priced at $195.00, includes entry for two guests and guarantees one artwork to take home. General Admission: This ticket, priced at $10.00, includes entry for one guest. Please join us for the Westwood Fine Art Show & Sale featuring distinctive art from two West Kelowna Art groups. Enjoy a snack, a sip and a chat with the Artists as you browse the work of these talented artists. At Westwood Retirement Resort, 2505 Ingram Rd West Kelowna. Call to Artists on November 1st. ​Suk’ʷtəmsqilxʷ West Kelowna Arts Council (SWAC) has a juried Annual Call to Artists coming this November 1st that runs until the 30th for those who wish to sell their work at the Kelowna Airport "Spirit of the Okanagan" Art kiosk. Here's a great opportunity for exposure and to sell your work at a high volume store. ​New Moon Gallery, located in West Kelowna, BC, has a unique atmosphere with a gallery of original artwork and a working studio. Enjoy a cup of tea in the ambiance of acoustic music while you browse our collection of Canadian works in paintings, photography, sculptures of bronze and stone, wood turned bowls, pottery and jewelry. Johanna is one of the original "New Mooners" ! She has been part of the gallery since it opened. She has helped move and renovate the gallery twice! She has also helped with the after school program and has kindly volunteered when I've needed to do things outside the gallery such as "Exellence through the Arts" with district 23 schools. Johanna has given so much to the gallery over the last decade with her smile and joyful sense of humor. Her art journey began at New Moon Gallery and will continue to grow in her new community of Port Colborne, Ontario. Johanna has been part of West Kelowna community for 20 plus years. Create a wire frame then embellish with coloured wire! ​​recognized as the most beautiful home-based business in the annual Communities in Bloom’s Most Beautiful contest. Read more about the transformation from the Westside Weekly! ​Nestled in Smith Creek in West Kelowna, with a panoramic Okanagan lake-mountain view and a Communities in Bloom award winning garden oasis, is “A Touch of Austria” of Claudia Kargl and Jim Gray. The Ad Lib Art Gallery/Studio creative arts setting with two professional pianos along with oil paintings and photographic artwork is a wonderful place for a 5 stars quality opportunity of great music, food, coffee, people and enlightening entertainment. Guests are treated with red carpet warm “gemuetlichkeit” hospitality to special theme Sunday afternoon music-arts culture showcases events that Ignite the Senses in fine European style. Outstanding musical performances with world class performers are featured on the big screen with supportive commentary and historical documentation. To top off an extraordinary all-round experience, organic homemade culinary delights, Viennese pastries of authentic recipes handed down from generations and a variety choice of delicious traditional Viennese coffees with fresh whipped cream await you! RSVP is required. ​Experience an afternoon soiree at the Ad lib Art Gallery for “Great Moving Performances” and a live dazzling two piano recital featuring two top notch duelling professional pianists, The Piano Divas, Claudia Kargl and Rachael Pauls, who will ignite your senses! Identify with two passionate local performers communicating with each other through their musical dialogue. Be “wowed” by music at its best with outstanding performances supported by stunning stage settings around the world and moving artist performers who make music come alive. Enjoy a 5 star music-arts-culture-culinary delight with exquisite TOUCH OF AUSTRIA homemade pastries of traditional recipes handed down from generations and a special blend of great Viennese coffee and delicious condiments. Reservations in advance are required at $25.00 per person. To start the 2019 Winter Workshops at the Peachland 1898 Little Schoolhouse, Roberta Farrelly is offering a Beginners’ Acrylic Series on Mondays beginning Monday, January 7, from 12:30 to 3:30 pm. This is a six week series for beginners who want to improve their skills. The cost is $60. Please register with Sharon McPhee at themcphees@telus.net or call 250-767-6556. This is always a popular series with a short time-line, so do register ASAP. Paints colors: Quinacridone Nickel Azo Gold, Dioxazine Purple. Plus all of your regular colors and pallet. BRUSHES – we will be using larger brushes; I would like you to have one that is about ½”(this will be your smallest) and another ¾ “. Flat or filbert. You can bring some of your other small brushes for finishing details. Airport collection and return and daily travel to local villages and wineries. Daily opportunities for painting, sketching, scrapbooking, journal writing, photography and exploring in a variety of beautiful settings. • Wine tasting & tapas in the town of Pezenas at “Le Wine Shop”. • Oysters with local wine - Picpoul de Pinet, in the port of Meze. • A day at St Guilhem le Desert, one of France’s most beautiful villages. • Friday Montagnac market and “market” lunch at Rue Montbel. • Other local village visits as time permits. • September 4 arrival day, September 14, travel to airport. day with wine, also art/sketching mentoring if required. Please CLICK poster to view website and information about monthly meetings. ​summers mentors were Lisa Milroy of the Slade School in London, England and Jen Mann of Toronto. Both of these artists have enjoyed international recognition and have been at the forefront of contemporary art. ​tiɬ - absolute straightness (no bend or curve) which in math is a truth (geometry) the one true distance between two points- which is an exact straight line. tɬtaɬt is translated as “truthful” though its literal meaning is “Very Straight or only Straight” so absolute straight- no crookedness in any way involved. Shatford Centre invites all artists to submit original artwork to the Art For Peace Exhibition. Artists are asked to reflect on the concept of Peace and what that may mean to themselves as an individual, as a member of their community, or as a global citizen. The intention is to use the power of art to inspire dialogue about peace, to generate ideas and to stimulate action. We challenge artists to think and use this power of art to depict: How they envision peace? What does it look like? How can this be achieved? How can we choose peace for our culture? How can we reach inner peace? How can we use art for building peace? How can we create a culture of peace? We invite everyone to share their visions in any of the following categories: painting (any media), drawing, photography, graphics, mixed media. – Works of art must be of original design, and one of a kind. – Works of art must be display ready with suitable wire for the hanging system. The committee reserves the right to decline works that do not meet hanging criteria. – Works of art must be identified on the back with artist name, title, medium, price. – Exhibition maximum two works of art per artist. – Artwork delivery to 760 Main St: 9 am to noon, Friday, January 11th, 2019. – There will be a fee of $15 per artist, to be contributed to the costs of the opening reception. 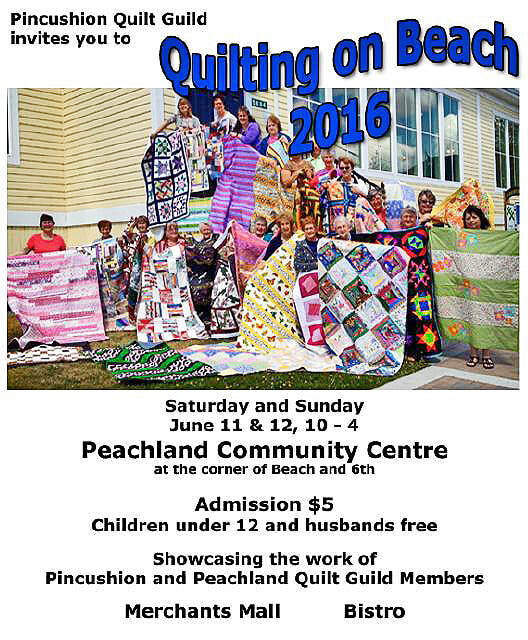 Artists are encouraged to invite their friends and family. There will be a cash bar for wine. Contact the Shatford Centre, 760 Main St, Penticton for a submission form by calling 250-770-7668 or e-mail info@shatfordcentre.com. Workshop presented by Vicki Rodgers. We offer a selection of paintings, bronze sculpture, Jewelry and ceramics by Canadian Artists as well as antiques. We are happy to help you find that special piece for your home or business. Enjoy a coffee or tea in our Paris Tea Room or book a Private Event. Keith Harder’s exhibition titled Children of Icarus brings together two distinct bodies of paintings, both of which directly and indirectly reference aviation and the human condition. The most recent large-scale paintings in the series titled ILL Winds portray the meteorological phenomena of cloud formations while the small-scale, intimate paintings from the series titled Anamnesis highlight the details of decrepit fuselages of vintage airplanes. Harder’s work is executed as a highly realistic rendering, yet his work is not an illustration of an object, the natural phenomena, or a portrait of a person. While interested in the natural world, Harder has produced work referencing landscape, still life and portraiture, but the tension in his work is created by what cannot be depicted; it is the context within which each work was created. ​​Art Gallery on Saturday, March 16, 2019, 1:00 p.m. – 3:30 p.m. Enjoy an afternoon of art, music, coffee, tea, cookies and punch at the opening reception for Art from the Heart. 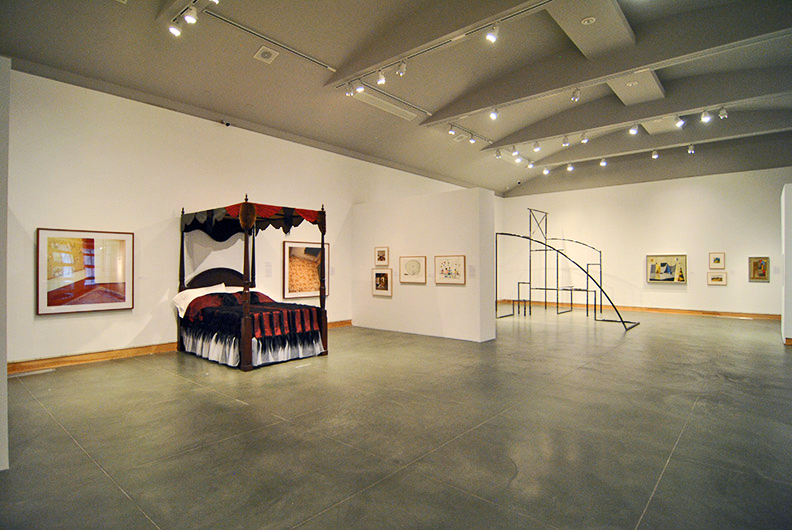 The exhibition Emergence is produced by selected graduating students from the UBC Okanagan BFA program. This exhibition consists of a selection of works by six emerging artists which include 2D and 3D works of art. The Board of Directors and Executive Director, Dauna Kennedy, invite you and a guest to the opening reception of Emergence by UBCO BFA Graduates, Before the Sun Goes Down by Todd Schulz, and I Learned I Wasn’t Seeing Clearly by Gary Dewhurst at the Vernon Public Art Gallery. Enjoy an evening of contemporary art, music, appies, beer, wine and punch. Admission is by donation. Liz Ranney and Nicole Young’s exhibition What’s Still Here, What Came Before Us is a visual response to the work of poet and musician Leila Neverland. It explores themes of femininity, the environment and the collaboration itself. similar or disparate? This exhibition calls for consideration of how painting and music come together as tools for storytelling, both narratively and of the process of painting itself. ​Oh, who are the people in your neighborhood? We want to know, Who are the people in your neighborhood? Through painting, drawing, photography, collage, mixed media, clay, sculpture…maybe a poem? Show us the people you meet each day. The Lake Country Art Gallery welcomes gallery members and the extended community to submit a piece of work for this community exhibition. The art work can be any size or medium and can be done by individuals or as a collaboration. For this exhibition, we are calling for drawings of your dogs (or cats). If you don’t have a dog or cat borrow one or draw the gerbil. Any pet will be acceptable. Artists can use any drawing media, ink or paint, but all submissions must be on a 16x20” support. That can be any kind of paper or drafting film.